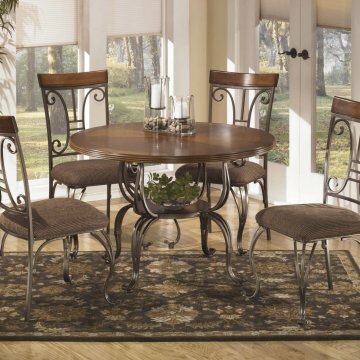 This Bardstown by Crown Mark includes table, bench and four chairs. A plank top adds rustic style to this contemporary style dining table that is sophisticated enough for guests or daily use with your family. 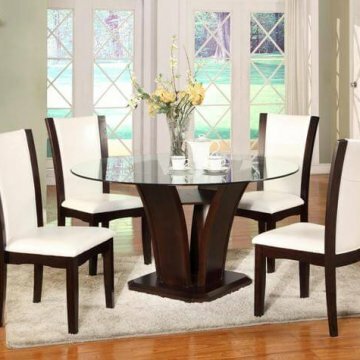 The rectangular table extends from 64 inches in length to 82 inches long with 18-inch leaf. 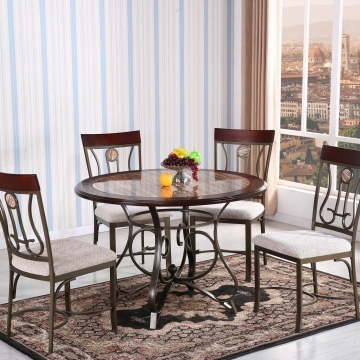 The versatile leaf adds flexibility for hosting friends and family. 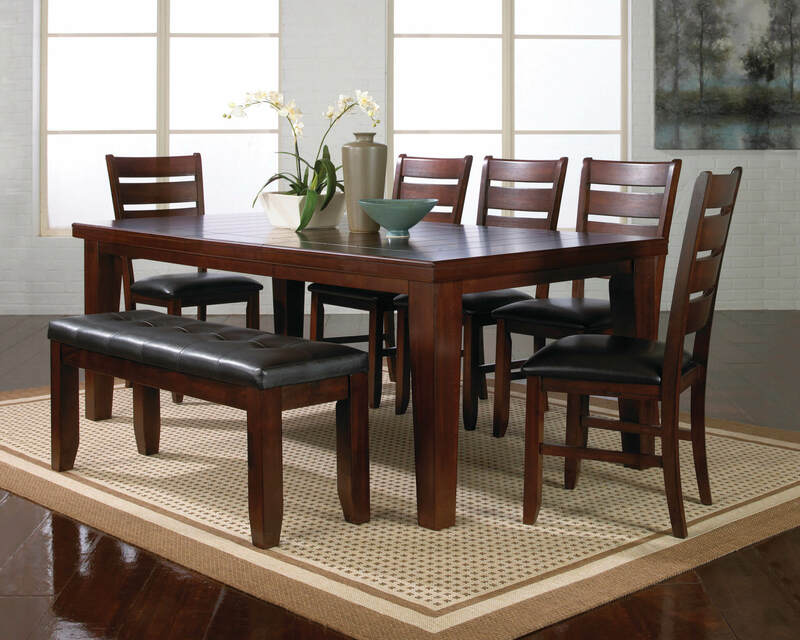 Slightly tapered block feet complete the table’s style.